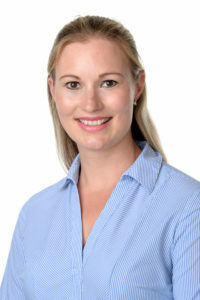 Owner and Chiropractor Louise Hampton graduated from the University of South Wales in 2004 with a degree in Chiropractic. I first wanted to become a Chiropractor after researching various health care professions. I was impressed with the results that Chiropractic achieved and in some cases the speed at which patients would show signs of improvement. I began treating patients in Wales before moving to Birmingham and setting up a chiropractic clinic there. Attend2Health is my second clinic, closer to home and with my husband Dominic. I have been awarded a Fellowship of the British Chiropractic Association (BCA) for the work I have done on the BCA council and I am able to treat patients with BUPA or AXA insurance. I have travelled the world twice visiting many countries including Australia and New Zealand . I participated in many activities including sky diving, bungee jumping and scuba diving. I am a member of Stevenage Athletics club where I enjoy competing in the hammer and shot putt. I also have two young children who keep me busy!